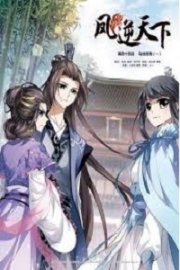 You’re reading novel The Good for Nothing Seventh Young Lady Chapter 1145 online at LightNovelFree.com. Please use the follow button to get notification about the latest chapter next time when you visit LightNovelFree.com. Use F11 button to read novel in full-screen(PC only). Drop by anytime you want to read free – fast – latest novel. It’s great if you could leave a comment, share your opinion about the new chapters, new novel with others on the internet. We’ll do our best to bring you the finest, latest novel everyday. Enjoy! Looking at the little elf’s clear and nervous eyes just like that of a deer, Shen Yanxiao began to wonder if she had some scary face mask on her face. Ten fruits for only one crystal coin, this price could be said to be quite cheap. Just when Shen Yanxiao was ready to pay, a cold and arrogant voice sounded loudly from behind her. The moment the little elf heard that voice, she trembled slightly, her hands grasped Shen Yanxiao's sleeves inadvertently, and her drooping clear eyes revealed an incomparable fear. Shen Yanxiao slightly frowned, and then turned around to look at the one who spoke. Behind her, three young male elves were standing proudly. The elf in the middle wore a yellow badge on his chest, while the two elves standing at his sides that were obviously clinging to him wore cyan badges on their chests. "As an elf, you’re actually doing such a thing. These fruits can be seen everywhere, and yet you are selling them here? It’s really shameful." The elf wearing a yellow badge on his chest looked disdainfully at the little elf in Shen Yanxiao's arms. His cold and sharp eyes were like ice blades, cutting people into pieces. The little elf apparently trembled a little, and her soft body became stiff in an instant. The words of the male elf became a slap that ruthlessly hit the face of the little elf. The little elf trembled more and more, and her watery eyes were full of tears of fear and grievances. She twitched and said, "I...I don’t……"
"You don’t?" The male elf sneered, throwing the fruit on the ground and stepping on it. "You’re still young, yet all you learn is the shameless business of human beings. You members of the Moons.h.i.+ne Tribe are really degenerate. Do you think the other elves would buy this garbage?" Shen Yanxiao frowned as she listened to the insults of the male elves; her calm eyes flashed with displeasure. If the elf didn’t like the market system of human beings, she could understand, but the ridicule and insults of that male elf were too excessive. Moreover, the Moons.h.i.+ne Tribe that this b.a.s.t.a.r.d just said seemed to be Shen Yanxiao's maternal family. Even though Shen Yanxiao did not have a bit of impression of the Moons.h.i.+ne Tribe's elves, because of her mother Wen Ya, she could not bear to hear this male elf’s arrogant slurs. The little elf was greatly wronged, but did not dare to argue. She could only bite her lips and look at the three male elves in tears. But that male elf was still unwilling to let her off, making Shen Yanxiao’s expression more and more ugly. "Is it one crystal coin for ten fruits?" Shen Yanxiao suddenly asked, cutting off the male elf’s speech. When her words came out, the three male elves were stunned, and the little elf who was resisting her tears from falling also looked at Shen Yanxiao with her tearful eyes. "It’s one crystal coin for ten fruits, right?" Shen Yanxiao looked at the elf and asked again. The elf hesitated for a moment before she replied with a trembling voice, "Yes." Shen Yanxiao smiled slightly. Her one hand holding the elf while the other took out the purse that the people of Qilin Clan had prepared for her. She then stuffed the purse she grabbed in the hands of the elf, "I’ll buy all the fruits in your shop." 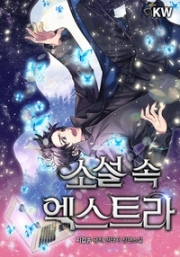 You're reading novel The Good for Nothing Seventh Young Lady Chapter 1145 online at LightNovelFree.com. You can use the follow function to bookmark your favorite novel ( Only for registered users ). If you find any errors ( broken links, can't load photos, etc.. ), Please let us know so we can fix it as soon as possible. And when you start a conversation or debate about a certain topic with other people, please do not offend them just because you don't like their opinions. You're reading The Good for Nothing Seventh Young Lady Chapter 1145. This novel has been translated by Updating. Author: North Night,夜北 already has 1641 views. Current Time is Apr-21-2019 20:49:52 PM.